Its nice to get 2 packages in one day. 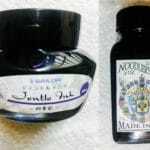 Main was a new Sailor Purple Cosmos fountain pen and the other package was with fountain pen ink. 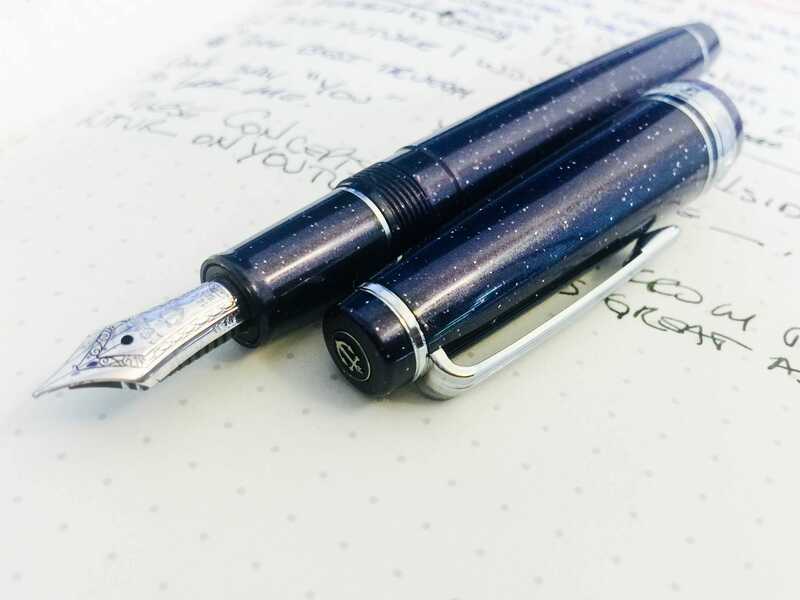 The Sailor Cosmos pen is a limited edition and a bit tough to find online. I found a shop in Italy and had it shipped from there. It only took 3 days. I wanted a purple ink for the Sailor Cosmos to match so I chose the Shigure. I think its kind of cool to have ink match the color of the pen. Also picked up the Noodlers Zhivago. I recently got a Platinum Izumo Tamenuri Akatame from Japan and I quite like Japanese nibs and the way they write. 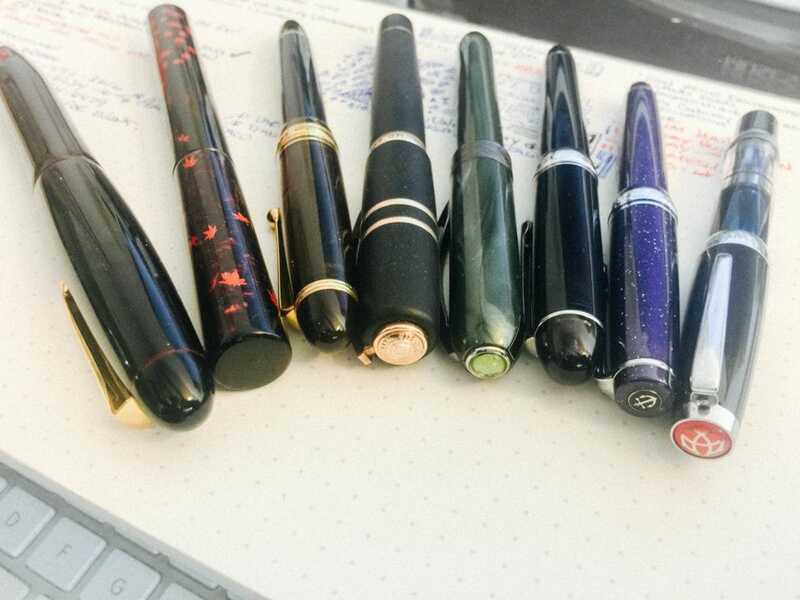 Some of the fountain pens I currently write with.